Subscribe to our newsletter for the purest news and remedies. 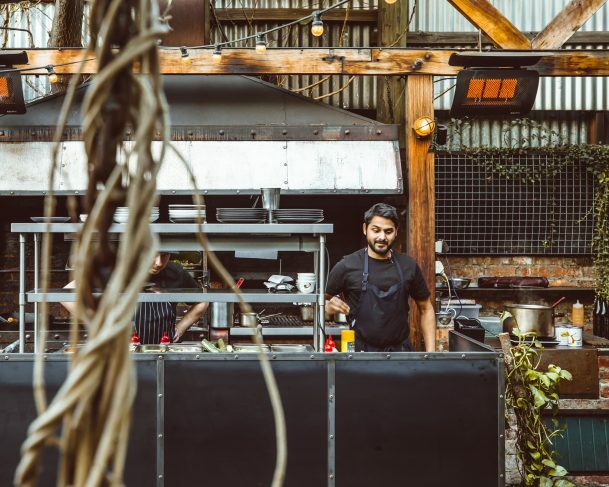 A bright new barbecue idea turns real deal – Ashok takes over the kitchen – Our new Day and Night menus are released into the wild. From a Sunday to seven days a week, our outdoor barbecue menu has seen several incarnations. Daydreams day parties became Sunday Spit Roasts until the Fists of Fury barbecue offerings roundhoused their way into the regular. The barbecue transformed too. Once a backyard four-burner is now a full fledged barbie machine, including a grill and spit, plus a proper pass to keep up with the demand. A punt on bold flavours and beer garden festival dinners has become a menu that nods to the community outdoor space, casual eating and stellar produce. It’s the idea that a beer garden can still be a boogie wonderland but we’re gonna eat good too. Team player to team leader, Ashie’s sustainable ethos, deft touch and direction has turned a wild idea into something tangible. His new menus herald great produce as the hero but the dishes resonate with DM’s easy going nature. Think simple and sustainable, where offcuts become purees or stock, and seasonal produce shines. Outside on the barbecue, Ash and the team take centre-stage in the arvo. Sit among corrugated iron and leafy green vines with a quality bevo as punchy notes and fragrances command the dinner service. A barbecue dream realised and food concept finessed. The Day offerings honour breakfast and brunch ( + the signatures remain steadfast) but with nightly influences. Avocado is smashed with edamame, beetroot cured salmon is served with an ajitama egg. In the evening, the changes are little, big or subtle. Concepts are replaced or refreshed. The share sizes (s, m, l) are refined as too are the dishes. Vegetables hold their own: roast pumpkin with pepita cream and dukkah. Larger dishes, like Saigon half-chicken or XO lamb shoulder, require carving. All are to be shared between two or a group and paired with a froff.